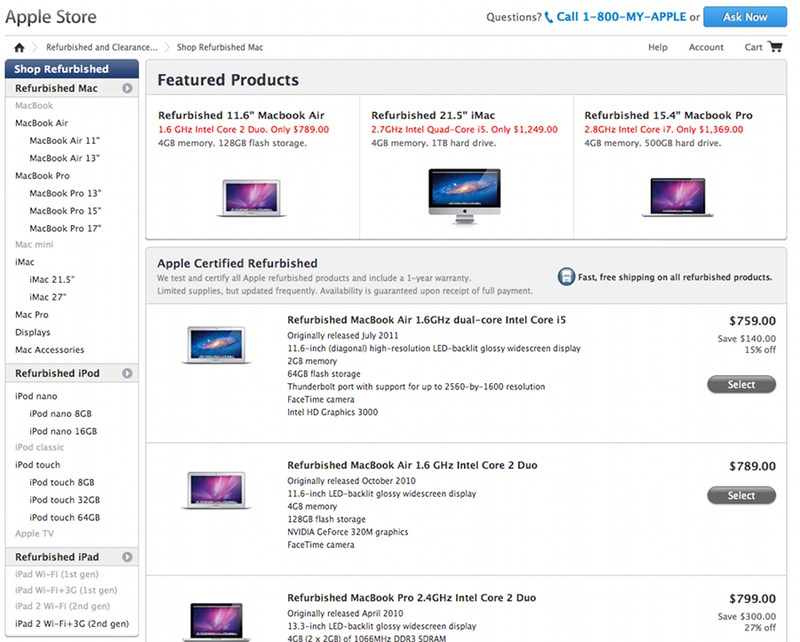 Apple restocked the certified refurbished section its online store on Friday after an as yet unexplained international outage of previously-owned computers left the virtual shelves bare for over three days. The apparent refurbished stock outage was one of the longest in recent memory and affected both U.S. and international customers with numerous AppleInsider readers reporting that their respective stores were indeed empty. When customers visited the "Refurbished Mac" section of Apple's website they were met with the message: "Sorry there are no products available, please check back later." While it is unknown exactly what product lines were affected internationally most reports noted zero stock for used Macs, iPads, iPods as well as clearance items. A check with Apple's U.S. online store revealed that all refurbished product categories were without stock as of Thursday night. Some have speculated that a system error is to blame for the three-day stock outage but Apple has yet to release any information regarding the matter. The used offerings reappeared on Friday with discounts ranging from 10 percent to a deep 38 percent off retail pricing, though clearance items remain out of stock.